Krav Maga is first and foremost a self-defense system, not a martial art. It is a system that combines the best, most efficient techniques from various martial arts and fighting systems into one cohesive system. It is unlike any martial art or fighting system in that there are no rules, regulations or competitions. It is designed to keep the user safe and to incapacitate an attacker by any means necessary. Krav Maga was developed by Imi Lichtenfeld (pictured at left) in the late 1930's. During this time anti-Semitic riots began to threaten the neighborhoods of Imi's home in Bratislava, Slovakia. Being a champion boxer, wrestler and gymnast, Imi joined together with other Jewish boxers and wrestlers to defend their neighborhoods. Imi learned quickly that sport fighting was much different than street fighting. He learned that he needed to develop a system for practical self-defense in real world situations where there are no rules. His system used natural movements and reactions for defense that were easy to learn and practice. He combined this strategy with immediate and decisive counterattacks. This system became known as Krav Maga. 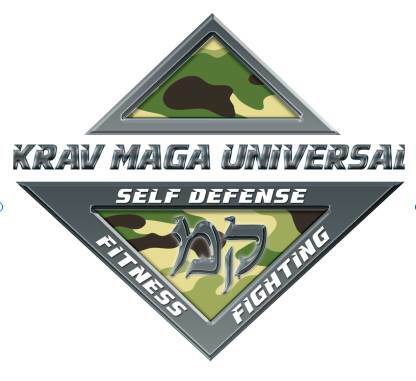 The name in Hebrew means “hand-to-hand combat” krav (קרב) meaning “battle” and Maga (מגע) meaning “contact”. Like many others, Imi eventually had to flee his homeland to escape the Nazis. He eventually made it to the British occupied area of Palestine know as the British Mandate of Palestine. There he began training the Haganah, a Jewish paramilitary organization, and the Palmach, which were the elite forces within the Haganah that would eventually become known as the Israeli Defense Force (IDF). 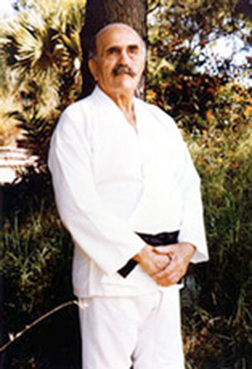 In 1948 when the state of Israel was founded, Imi became the chief instructor of Krav Maga for the IDF. He served in this role for almost 20 years. During this time, Imi recognized that police forces and ordinary citizens could benefit from Krav Maga. So upon his retirement from the IDF, he began training instructors in these non-military versions of Krav Maga. The first civilian course for Krav Maga was offered in 1972, at the Wingate Institute for Physical Education and Sports, under the auspices of the Israeli Ministry of Sport and Education. In 1995 Imi went on to create the International Krav Maga Federation, which provides official accreditation to instructors worldwide. Imi Lichtenfeld died on January 9, 1998 at the age of 87. • Targeting vulnerable points on the human body such as the eyes, jaw, throat, groin, knee etc. • Never using strength versus strength. • Quick and immediate response with an unbroken stream of counter attacks. • Awareness of surroundings, escape routes, further attackers, objects that could be used to defend or help attack and so on. Basic training is a mixed aerobic and anaerobic workout. Men and women generally undergo the same drills. Protective pads and other personal protection equipment may be used during initial training. Scenarios are used to train personnel for situations typically encountered in street patrol or combat situations. Training scenarios teach students to ignore distractions. Other training methods to increase realism might include blindfolding or exercising trainees to near exhaustion before dealing with a simulated attack, as well as training outdoors on a variety of surfaces and restrictive situations.